Deidre K. Braun, M.S., L.Ac., is a fellowship-trained acupuncturist and herbalist who has been practicing for 23 years. After 18 years at Desert Orthopedic Center, I have moved my practice to Kinetix Health & Performance Center in Palm Desert, California. A native of Southern California, Deidre earned her Master's of Acupuncture and Traditional Chinese Medicine from Yo-San University in Santa Monica, CA. Following an internship at Yo-San, she conducted a fellowship in acupuncture at the Luzhou Medical College and Beijing Traditional Medicine Hospital in China. In 1997, she began a 20-month study at UCLA with the Laboratory for the Study of Addictions to determine acupuncture’s effectiveness in treating the symptoms of withdrawal. Deidre is licensed by the State of California and by the National Council for Certification of Acupuncturists. Additionally, she has taught at Samra University in Los Angeles and Yo-San University. Deidre sees patients at the Kinetix Health & Performance Center. She is an allied health professional with staff privileges at Eisenhower Health. She provides post-op pain management for joint replacement (to lower pain and promote healing) and oncology support (to reduce nausea and other side effects). 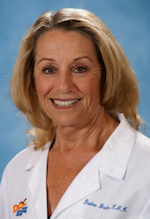 Deidre offers pain management consulting to physicians and their patients. The TCM philosophy is that emotions, diet, and lifestyle play important roles in the overall health of each patient. Deidre takes a comprehensive view of medicine and utilizes acupuncture and other healing modalities of TCM. After being diagnosed with Multiple Sclerosis she became more interested in diet. Deidre is a Certified Gluten Practitioner. She has changed her diet and changed her own symptoms. She can help you with all the lab testing, diet coaching and support you need. Before becoming an acupuncturist, Deidre had several careers; her most recent was at the Los Angeles Times as an advertising executive for 15 years. During this time, she had severe food allergies. After working with an acupuncturist for 2 months, she was allergy free. The method was a combination of acupuncture and Nambudripad’s Allergy Elimination Technique (NAET). Soon after, she quit her job and went back to school to earn her Master's Degree in Acupuncture. Deidre spends her leisure time hiking in the desert and local mountains, horseback riding, and playing with her dogs.